I really like profit sharing tokens of the exchanges. I have invested at COSS, OBITS, BCO. Those tokens share profit of their native exchanges if you hold them. BCO you have to lock for some period to get dividends. With COSS and OBITS it is enough just to hold them to get dividends. ROI for this tokens is similar, around 3-4% per year. This is not high but basically you invest in future development of the exchange to get serious ROI. Current average volume of these exchanges is low, less than 5 million dollars but I hope that in future it will be much higher because I see potential in these projects. Only exchange with little bit higher volume and profit sharing tokens is Kucoin with its KCS but I didn't invest in it because it's percent of profit sharing decrease down to 15% if volume grows. Some people think that this is still good deal, like my friend @fullcoverbetting and maybe it is. My view is different and in my opinion this is very unfair. If you support them and buy and hold their tokens when price and volume is low than you should be rewarded when volume and price goes up. OKB is totally different investment in many ways. First of all you don't invest in small exchange with development hopes. OKEx is one of the Top 5 exchanges with current volume of 1.8 Billion dollars. When I have saw that they are issuing token that will share 50% of their earnings, I couldn't believe. To get 50% of profit you just have to hold tokens. There is no token freeze or lock to get dividends. But sharing 50% is not all. 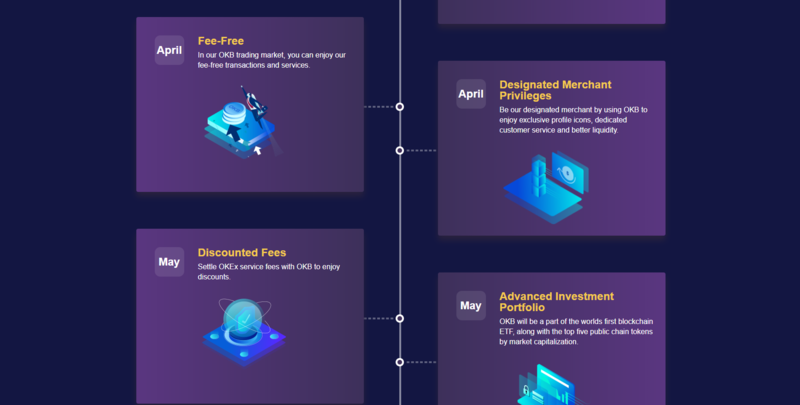 Later this month, trading with OKB pairs will be without fees! 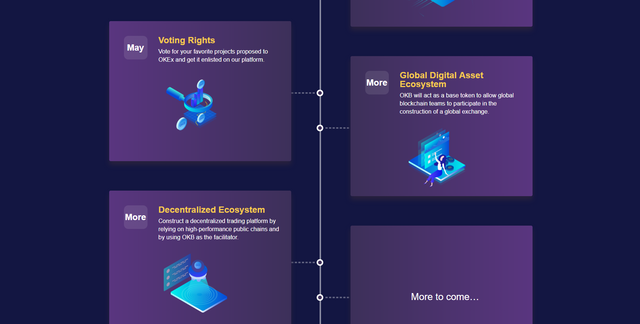 Just imagine potential of OKB if Binance BNB is successful just with lowering fees. With OKB you don't have fees plus you get 50% of their profit. They distribute profit every friday. This friday total distribution was 875 BTC. This is one more nice thing. You don't get profit in dust of many coins, you get profit in BTC. For example, if you have 1000 OKB coins, you will get 0.000875BTC every week if OKEx volume stays same. At current BTC price of around 8800$, you get 7.7$ each week. There is 52 weeks in one year so you will get 400$ for one year if volume and BTC price stay same. 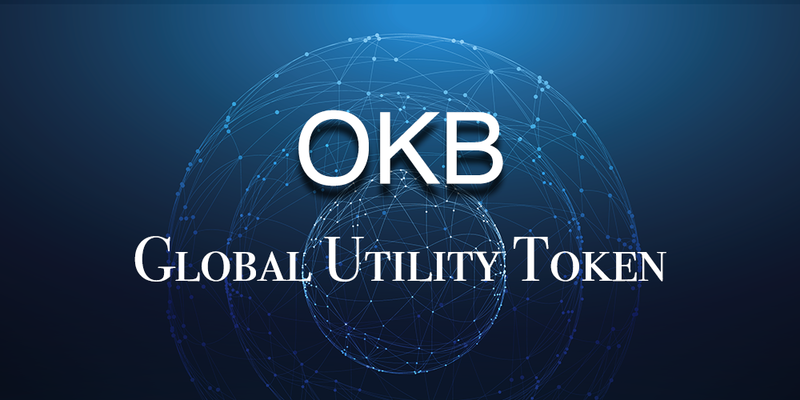 With current price of OKB at around 1.74$ you have to invest for 1000 OKB tokens only 1740$ to get 400$ dividends per year! At this OKB and BTC price current ROI is around 23%. Incredible! For me this is best investment at moment if you believe in cryptocurrencies. In Crypto there is no stability and this numbers can be lower if BTC drops but it can be higher if BTC rise. 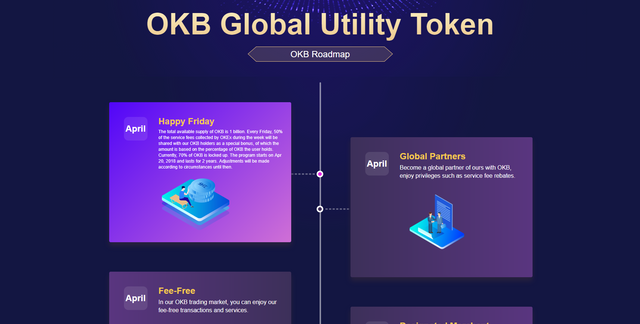 I think this price of OKB will not be so low when more people find out for this token. Trading of OKB started one week ago and OKB is not even on coinmarketcap.com at moment. This is hidden Gem and early investors will benefit for sure in my opinion. Im am NOT finansial advisor and this is NOT investment advice. For every investment you should do your own research. Dude this is definitely something worth to look in. Sharing 50% hooked me in already :) https://www.okex.com/pages/products/okb.html Here's the link for those who are intrigued like me. I don't trust OKEx. They had issues from time to time. very good article about crypto dear. A 3-4% return is not good in the crypto world but is not bad in the real world! However, I will definately be looking into OKB now that you’ve mentioned it! Thanks @cicbar for sharing the info..
Thx @cicbar, I will look at the account and see if I will invest in it! Just purchased some btc yesterday, was doubting what to do with ith! It is resting at kucoin. I will make an account and see what I will you do! Do you a referral link, that I can use? There is no referrals as I know. It is not KCS :-) I am joking :-) I really don't know if there is referral program. I couldn't find info about it. If you are looking for nice ROI you should check SmartCash with monthly rewards around 3% at that time (compound interest so more than 30% a year!). Thanks. I have invested in SmartCash already. hmm how long will the 70% supply stay locked? I don't know but they count payout on all tokens, not just circulating so even if they unlock them, payout is same. So if the token is on a sell order it still gains money? I think so but you should ask support to check that. Hi, any comments on Mandala (MDX)? I don't know anything about MDX. Will look into it. Thanks. Thanks for giving me the heads up, Im definitely going to look into it. WOW, @cicbar, will check that out. But don't you think that ROI of delegating to Steemit bots is not higher then 32%? Last time I counted it was around 40%, + the SBD price may reach 100$ by the 2019. STEEM is good investment also. Здраво. Покушавам да говорим српски. Да ли је било тешко постати богато у Србији? Did I said it right, lol? Almost right😁 to become rich in Serbia is very hard. Probably like in Russia. Went through google maps to Serbia, walked some streets. It is a very poor country as I've understood, right? Like, people in my town in Russia are quite poor, but there are a lot of luxury cars there in Russia, Mercedes, BMW's, Jaguars. In Serbia I've seen none. It even seemed to me like I got into Soviet Union. All these old cars. How did you manage to get of this poorness and started earning your first money? In any country if you are really good at what you do, you will do good and earn money. I think there is an ample opportunity for the budding crypto enthusiasts. With current price of OKB as low as 1.74$, a manageable investment can churn out respectable dividends. Anyways, thanks for sharing. Its a win win deal, I too think its a great thing to do, invest in it and get the dividends every year. Though it will take some time to grab our capital but once we grab our capital it's a win win situation. This is worth looking into. It's still early to grab the front seat. @cicbar I appreciate your candid advice. You clearly put a lot of time thinking through this stuff and present everything through an object lens. I've looked into OKEx myself and will probably invest. Please send me a referral link, if you have one! Not a prob! On a completely unrelated note, I'm interested to learn how you amassed many followers. I believe I have quality content to share with the Steemit community. Just not positive how to get my voice out there. No there is not special wallet for OKB. You have to hold OKB at OKEx exchange. Ah, that of course makes perfect sense! thanks for the heads up @cicbar i will look into this i am not overly sold on a a lot of tokens but this sounds interesting and worth a look!! @cicbar After reading your post, I got interested in investing in OKB as its giving better ROI. I already own some KCS, I usually invest in different projects little bit rather than single project to reduce the risk. Слушај @cicbar, ово је изванредно интересантно. Дозвољаваш ли да ја преведем бар део овога што си ти поставио? Срећно човече и настави са овако занимљивим стварима. Ово први пут чујем. From this post my crypto knowledge almost clear.This is imformative and helpful post.Keep it up @cicbar .I am big fan your post. Seeing John congratulations on your post, your post is extraordinary. I was in COSS and KCS now i'll be in OKB :-D thanks dude ! Brother is a very nice post, it looks very good to see your post, because at first I did not know about that post, now I'm happy to see many of your posts. I think this is the new digital coin for me.I never heard before.I have read your article.I think it is very profitable coin at the moment.Really nice.Thanks for your sharing. 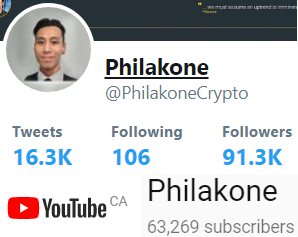 As I know OKex just moved to Malta which is a stable and save country within the European Union with reliable and good rules for cryptos. The fact that the coin is not on coinmarketcap makes me skeptical though. learn something new from you, thanks for this information. What a great tip for us to check out and of course "do our own due diligence..." This looks great for small investors like me - it is accessible - like cryptos should be!! Thanks for the info. Very good work, thank you @cicbar! Great post, so this coin if your holding it will pay you a percentage of what the exchange makes? Wow! Great! How do i start? This is the first time i have hearing about OKB. Sound interesting and looks like something worthy to have it. Thanks...i will look into it. Wow! Just read about this. This token looks like a good investment opportunity. May I suggest you look at Apollon coin as another possible investment opportunity? Do you know other Tokens too? Very good post. Interisting. I want try. This is wonderful and amazing post.From this post i know clearly about cryptocurrency.This post is helpful for cryptocurrency interested people.Keep it up @cicbar .And posted quality content.I am big Fan your content. Earn Rewards for Taking Surveys. If I'm happy to hear this. Then let me vote and follow. As a newbie in crytocurrency..... This was sure worth my time.....following you for more helpful tips. I also read this post. thanks for this information @cicbar never knew of OKB before now. will surely give it a try. You got a 34.35% upvote from @postpromoter courtesy of @cicbar! Do you need this post?